Boston is positively steeped in history. Founded in 1630 by English Puritans fleeing religious persecution, it went on to be the setting of the American Revolution and the infamous Boston Tea Party. Unlike any other city in America, Boston's narrow streets and brick buildings give it an almost European flavour. It's affectionately known as 'America's greatest walking city', with most of its places of interest within easy walking distance of each other. The city's food and drink scene is the envy of America, with some of the freshest seafood and perfectly-brewed local beer. 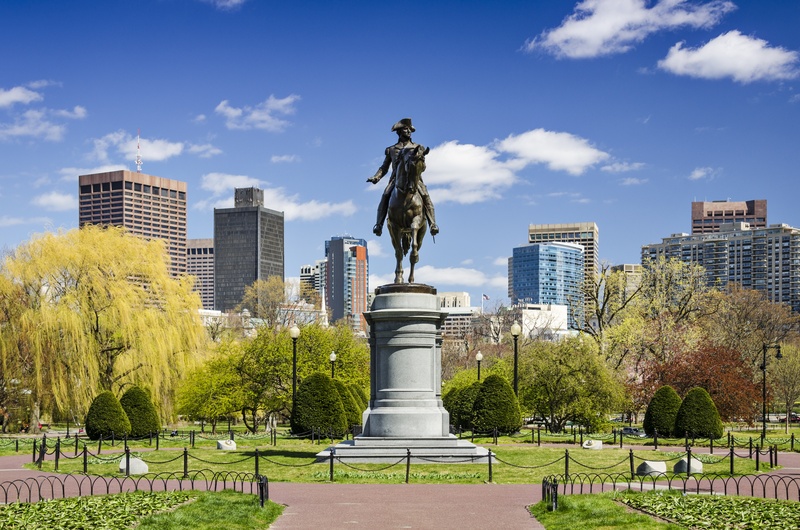 So whether you're a history buff, a foodie or just enjoy long walks with beautiful cityscapes, there's something for everyone here in Boston. The Bay of Fundy is home to the world’s largest tidal fluctuation with an average fluctuation of 14.5 meters. While the local Native American people once attributed this to a giant whale swishing his tail, we now know this is due to the depth of the bay and its funnel shape. Experiencing this tidal fluctuation would be the highlight of our day, but by no means the only thing we saw that day. I’ve never really understood how the phrase “take a hike” is supposed to be an insult, even when it’s delivered rather crossly. Would you rather be in the office or “take a hike”? Drive the kids to swim practice before school or “take a hike”? Be stuck in the “ten items or less” aisle behind someone with a full trolley or “take a hike”? Well, I know which one I’d rather do: (clue: it involves taking a hike). Bringing famed travel writer Bill Bryson's epic Appalachian Trail adventure to the big screen, A Walk in the Woods will be released in the UK on September 18th. Based on his bestselling memoir, it stars Robert Redford as Bryson, who decided to hike an 1,000-mile section of the trail after arriving back in the USA from 20 years' living in the UK. They say that there’s no such thing as bad weather, just bad clothing. But even native Chicagoans complain this past winter was particularly cold. Damn that polar vortex!